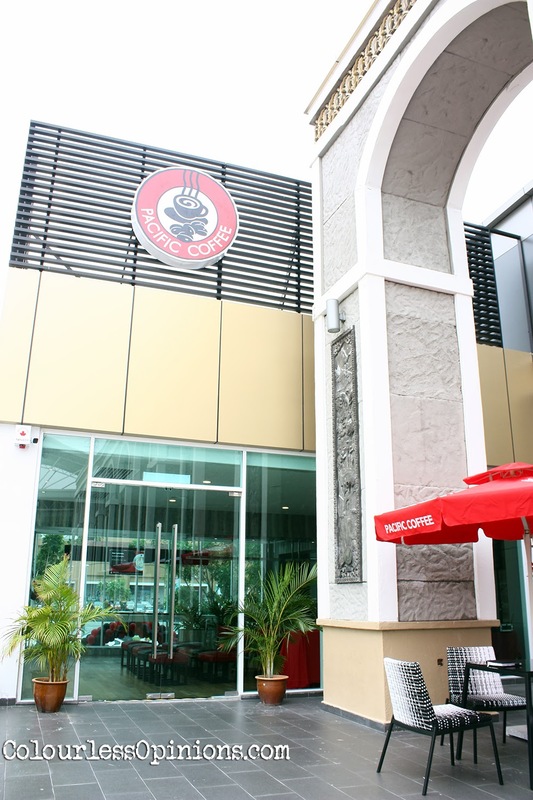 Premium coffeehouse PACIFIC COFFEE now in Melaka! The first premium coffeehouse from Hong Kong is now open exclusively at Dataran Pahlawan Melaka Megamall! Located along the tree-lined boulevard of Jalan Melaka, the cosy new duplex cafe offers a chic urban ambiance and delicious, premium grade coffee that the brand is famous for. The high-quality coffees served here are handcrafted by professional baristas using traditional and semi-automatic machines so, they may taste way better or at least less generic than coffees from most of the other coffeehouses. 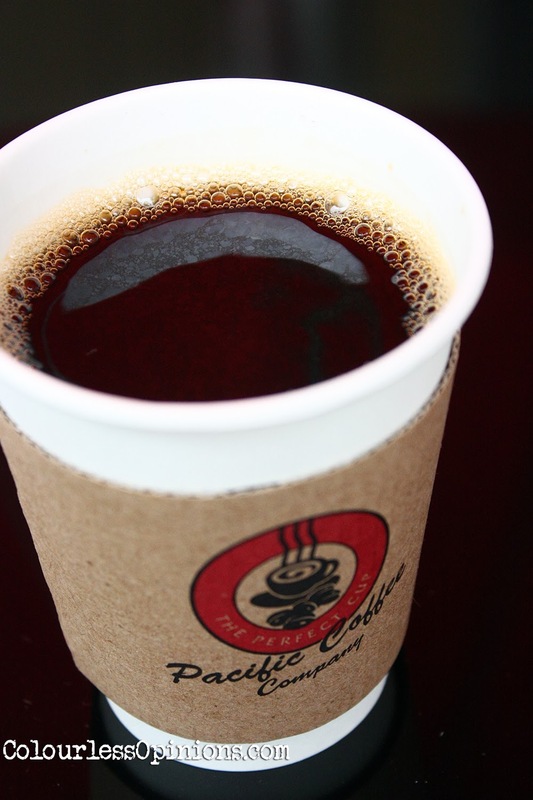 Pacific Coffee Company are also known for their environmental ways, many of their products come from sustainable materials, including free trade and organic coffee beans. The outlet is humongous, definitely one of the biggest and nicest coffee places I’ve ever been into. Intimate tables and comfortable sofa seatings with an adorable kid’s corner and a feature stairway which leads to a vast glass-walled on the second level (upper ground). The peacefulness and comfort of the place, to me, is ideal for casual meetings, work or to chill out and read a book (or play your phone). There’s also a nice outer area both on the ground level and second level for people who likes to enjoy the weather. Besides the brilliant environment and ambiance, the services of the baristas and waiters were fantastic as well. Very nice and friendly, always with a smile on their faces. You’d hope to see this kind of attitude in every coffeehouse you go to. If I lived in Malacca, I believe I’d be here quite often, especially when it’s mad hot weather these days. Too bad for me, but awesome for Malaccans. 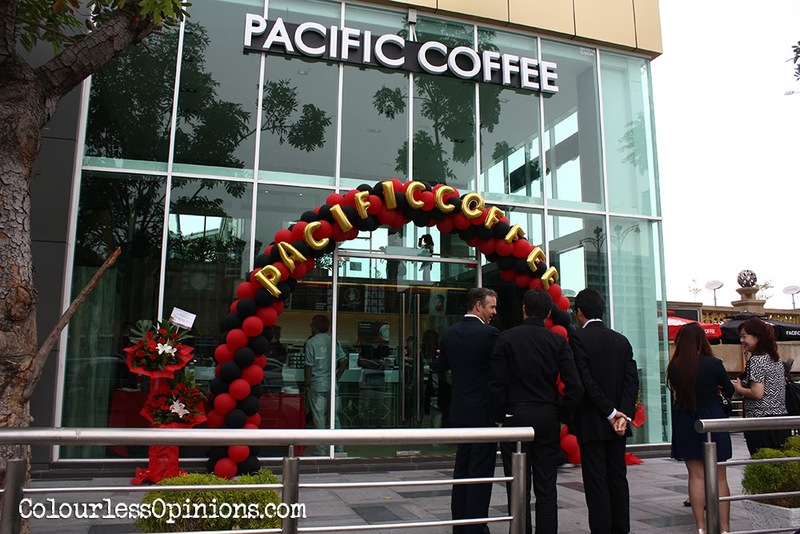 This Pacific Coffee flagship outlet was officially launched last week on March the 4th by the CEO of Pacific Coffee Hong Kong – Jonathan Somerville, Hatten Group’s CEO – Edwin Tan and some of Malacca’s top ranked elite. During the press conference, Mr. Somerville said that they chose to open this flagship outlet in Malacca because of its rich traditions and culture. He further explained that they invest in quality and lifestyle, and that the specialty or focus is not so much on the coffees, but it’s the customers. 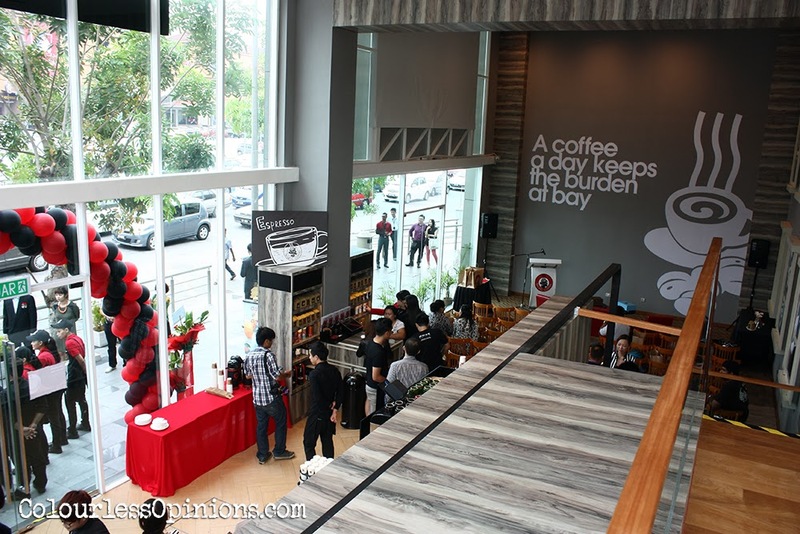 The introduction of this flagship outlet was apparently just the tip of the iceberg as they have announced their plans of establishing Pacific Coffee as one if Malacca’s top favourite coffee houses with the opening of five more outlets in and around Malacca city centre within the next three years. So if you’re too far away, no worries, very soon you’d get to enjoy the “perfect cups” nearer to your place. 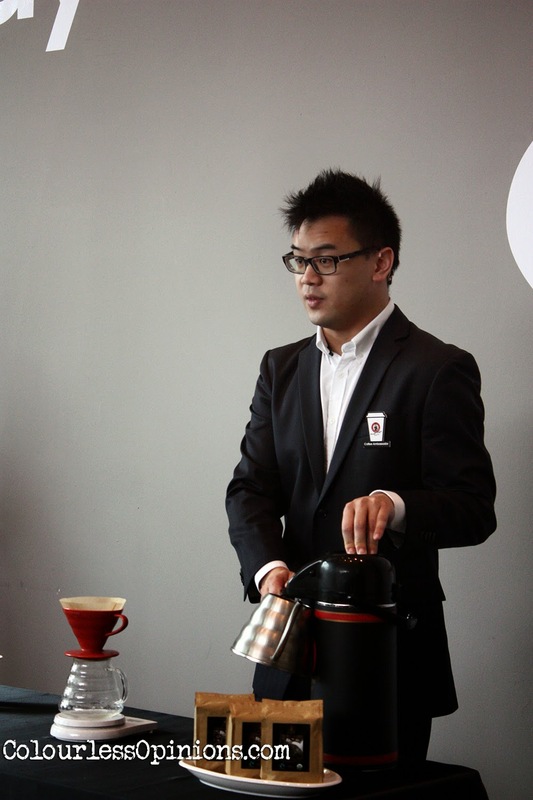 The globally acclaimed coffee connoisseur and current Head Judge of World Barista Championships Mike Yung (photo on the right) also made appearance to demonstrate sophisticated, masterful methods to make a great cup of Crema Scura, a special blend made from 100% high-grade certified organic fair trade coffee. Every lucky attendee at the event had this rare exclusive opportunity to have a taste of the renowned coffee ambassador’s work. I’ve never been a huge fan of coffees but I can certainly appreciate the quality of this one. Crema Scura is a special coffee blend sourced from Costa Rica, Colombia and New Guinea with a well balanced, full-bodied espresso which is excellent as a single shot or as a base for milk drinks. The coffee comes with nutty aroma with a cheeky floral tint, a rich, creamy caramel texture and a warm dark chocolate finish. Furthermore, Crema Scura is produced using only the finest organic, fair trade farming techniques. The 100% high-grade organic beans hold recognised certifications from United States Department of Agriculture’s (USDA). I wasn’t able to take photos of how the place is supposed to be like when it’s on business as usual (the tables were removed for the event) but I got to chill at the outer area on the second level, made a new friend and chatted for a long time while enjoying cups of awesome premium coffee. The launch was organised by a new retail division under Hatten Group Sdn. Bhd and SkyWin Brand Management Sdn.Bhd. 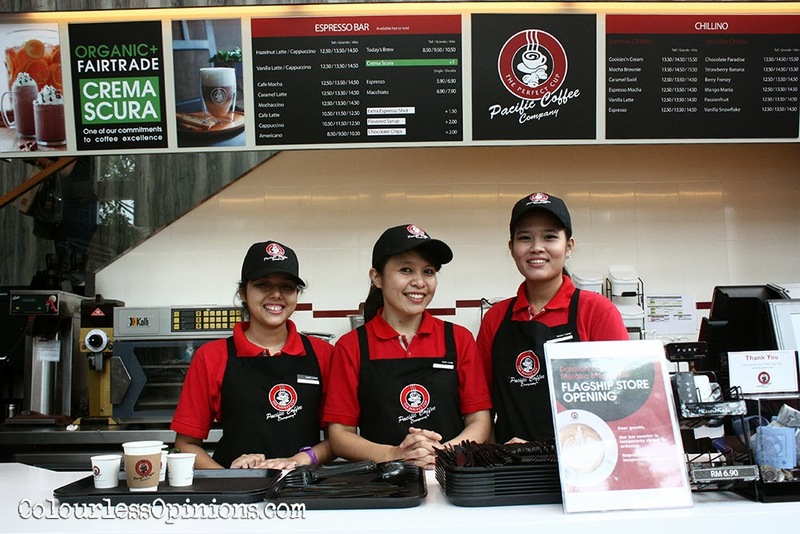 (who controls the franchise of Pacific Coffee in Malacca) together with Pacific Coffee Company. For inquiries or more information on Pacific Coffee, log on to their official website or Facebook Page.